Electronic tandem LNY TNZ continuously pushes the boundaries of the EDM by embracing their famously ‘FVCK GENRES’. Electronic tandem LNY TNZ continuously pushes the boundaries of the EDM by embracing their famously ‘FVCK GENRES’. 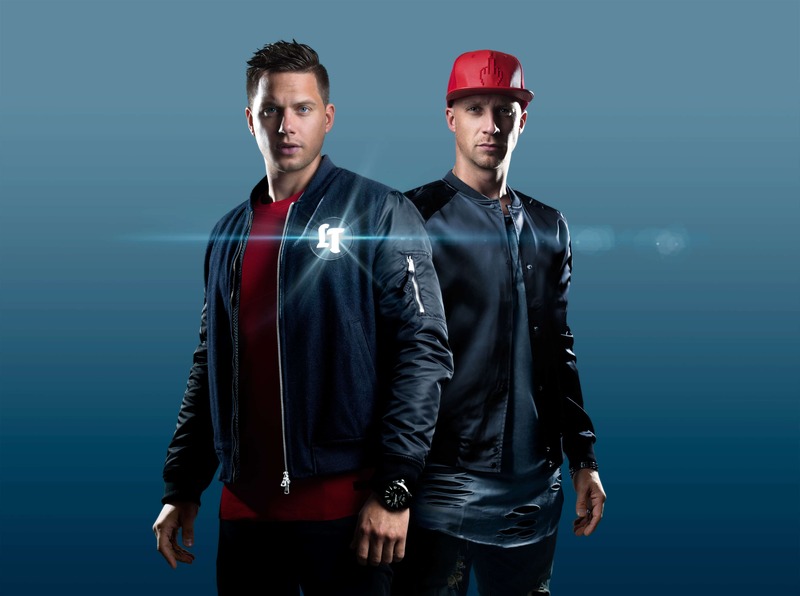 Hailing from Vlaardingen, a city in South Holland in the Netherlands, the Dutch duo made up of Mitchell Vreeswijk and Jan Stadhouders have been receiving support from DJ heavyweights, such as Hardwell and Blasterjaxx, while performing at huge festivals around the globe, including Summerfestival, Tomorrowland and EDC Vegas. As LNY TNZ keep up with releasing new tracks and joining stages of fresh major events, like the newly-anointed Daydream Festival in China just a few days ago, Viralbpm sat down with them to talk about their latest music offerings, the most favorite moments they’ve had so far and what the future has in store for them. V1. We see that you have a busy schedule touring the globe, including an appearence at the newly-anointed Daydream Festival in China. What’s your expectations from this upcoming show? LNY & TNZ: We were super excited to play at Daydream Festival in Shanghai. We have been playing at multiple Daydream Festivals already and we can tell you; it was awesome! We played a few times at Daydream Belgium and played at Daydream Mexico last November. Moreover, we have already been touring through China and we love the country, the people, the food and the hospitality! We can’t wait to be back for you guys this month with a big load of brand new music we are going to premiere for you! V2. Since Daydream Festival is a major event, should we expect to hear some new tunes from you there? LNY & TNZ: The winter is almost over and we have been really productive in the studio during the cold days. For sure we are going to play some new exclusive music at Daydream Festival. We can’t wait to play some new bangers for you guys! V3. Have you been to China before or you’re about to experience the Chinese crowd’s energy for the 1st time? LNY & TNZ: Last year was our first time in China. At the moment we have been there three times already and we love it! The vibe is great, the people are friendly, the fans are wonderfull and the food is great! V4. LNY TNZ among your latest music offerings, we see your remix of “Ni De Cona” for Wiwek & Mike Cervello. How’s this track going in your sets? Any other upcoming tunes we should be aware of? LNY & TNZ: We are really happy how the Ni De Cona remix turned out. We see it really works like a bomb on the dancefloors. Furthermore, we have also received a lot of great feedback online from the fans and a lot of DJ’s are also supporting it. We will be releasing our brand new single ‘After Midnight’ on April 19. This is gonna be a different tempo track with some typical LNY TNZ sounds. We have two different artists featured on this track. A stunning female Canadian singer with a beautiful voice and a Los Angeles based rapper who has already worked with 50 Cent, Ty Dolla $ign, Jason Derulo, Kendrick and Frank Ocean to name a few! This new single is really gonna be something fresh! Save the date and have a look at our Spotify page. V5. You’ve been in the music industry for a long time now, garnering the support of DJ heavyweights, such as Hardwell and Blasterjaxx. What’s your biggest moment so far and what are the biggest challenges/changes you’ve faced during your career? LNY & TNZ: It is always great to hear DJ friends play our music. We are just super inspired in making new music, solo and with artists we love to work with! V6. How did the social media affect your personal life, but also your career as an artist? Is it important in order to cultivate a relationship with your fanbase? Which platform is your favorite one? LNY & TNZ: Social media is really important for an artist nowadays. It is important to stay in touch with your fans and to have direct contact with your fans. The fans love it and we also like to be in touch with them. We like Instagram the most. There is not a lot of spam going on and it’s fun to be on the app. It’s also a great way for us as an artist to promote our music and give the fans the latest updates.